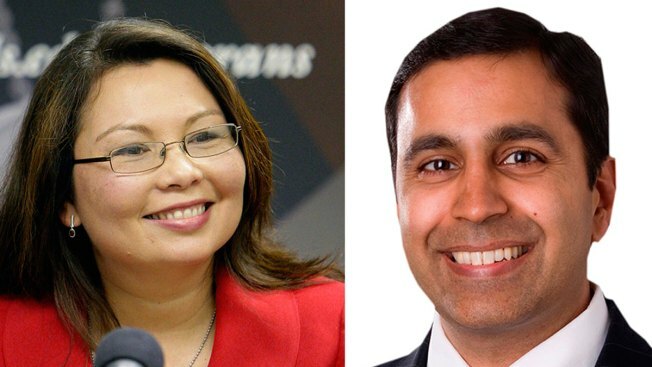 Raja Krishnamoorthi is running for Tammy Duckworth's Congressional seat. Raja Krishnamoorthi announced Tuesday that he plans to seek another run for U.S. Congress. The former Deputy State Treasurer who made unsuccessful runs for comptroller in 2010 and Illinois' 8th Congressional seat in 2012 announced Tuesday his campaign to replace Rep. Tammy Duckworth. Duckworth announced Monday her candidacy to challenge Sen. Mark Kirk in 2016. "Tammy has been an excellent Representative for this district," Krishnamoorthi, a Democrat, said in a statement. "I want to continue Tammy’s advocacy for working families, with a focus on helping more people to succeed in the new economy. I will work hard to provide education and job opportunities so more families can achieve the economic security they need." Krishnamoorthi, 41, is the president of Sivananthan Labs and Episolar, Inc., a collection of small businesses that sell products in the national security and renewable energy industries, and a co-founder of InSPIRE, a non-profit organization that provides training in solar technology to Illinois students and veterans. “In our rapidly changing global economy, the ability of working families to reach and hold onto economic security is under threat,” Krishnamoorthi said. “We need people in Congress who understand the opportunities provided by the New Economy and how to make sure more Americans are prepared to seize them. That requires practical, pragmatic ideas and far less partisanship and politics." Krishnamoorthi plans to form a federal election campaign committee later this week.